This weekend, Foreword Reviews announced their Book of the Year Award winners. Congratulations to our winners! I Love You—Now Hush, by Melinda Rainey Thompson and Morgan Murphy, received a gold medal winner in Humor. So You Think You Know Gettysburg? by James and Suzanne Gindlesperger, won a bronze medal in Travel Guides category. Rising from Katrina: How My Mississippi Hometown Lost It All and Found What Mattered, by Kathleen Koch, received an honorable mention in the Regional category. We’re waiting with bated breath until October to get our hands on Tasia Malakasis’s Tasia’s Table (NewSouth Books), a collection of recipes and stories from the award-winning cheesemaker at Belle Chèvre, a small fromagerie in Elkmont, Alabama. But the wait hasn’t stopped us from ordering some of Tasia’s artisan cheese. In fact, if you purchase your Belle Chèvre cheese from Kroger during the month of June, they will donate a percentage of that sale to the Red Cross Alabama Tornado Relief Fund. More than 500 Kroger stores nationwide have stocked up on Belle Chèvre’s healthy breakfast cheeses, so feel free to stop by your local Kroger to stock up on Belle Chèvre’s cheeses yourself–every purchase will help families in Alabama as they recover from the deadly tornadoes that passed through earlier this year. And while you’re at it, try out Tasia’s goat cheese grits (or other goat cheese recipes she’s posted for us). Yum! Father’s Day is this Sunday, June 19, and we’ve got your gift-giving covered. Treat Dad to a great book on his favorite subject! In this memoir, novelist Craig Nova explores the interconnections between his work as a writer, his personal life, and his passion for fly-fishing. Nova leads the reader into his courtship, marriage, the birth of his children, and his life as a father, husband, writer, friend, citizen, and angler. Just as the author observes the life of the elusive and beautiful brook trout in the tea-colored streams, he finds interconnections to his daily life. Unpredictable and keenly observed, Nova leads us through the terrain of the life of an artist. The one constant is the stream and the brook trout which offer both respite from the demands of his life and a wellspring of inspiration and strength. It is a paean to nature and the beauty of the brook trout. This autobiography is a reprint and expansion of Nova’s highly regarded memoir originally published in 1999. This new edition includes substantial sections of new work and an introduction by Ann Beattie. Thanks to well-known fishing expert Mike Marsh, North Carolinians finally have a definitive guide for the entire state in one handy volume. Fishing North Carolina is the only book that covers the multitude of fishing opportunities in all of the state’s regions: mountains, Piedmont, and coastal plain. Whatever type of fishing you prefer, Fishing North Carolina has something for beginning and advanced fishermen, longtime North Carolinians, newcomers, and tourists alike. This book will tell you where to go, how to get there, what fishing regulations are in effect, the best time to fish, the best way to fish (from boat, dock, or shore), key species at each locale, and the best lures to use. Detailed maps, descriptions of the fishing, and general information about the locations will help you know whether or not to expect snagged lures or an enjoyable fishing experience for the whole family. History buffs and tourists have been following the signs to famous Civil War sites in the Carolinas for years, among them Fort Fisher in Wilmington, North Carolina, and Fort Sumter off the coast of Charleston, South Carolina. However, many of the sites from the states’ rich Civil War heritage are off the beaten path. Touring the Carolinas’ Civil War Sites helps travelers find the states’ battlefields, forts, and memorials, as well as the lesser skirmish sites, homes, and towns that also played significant roles in the war. The book’s 21 tours cover the entire Carolinas, combining riveting history with clear, concise directions and maps. As fascinating to read as it is fun to take on the road, this second edition includes additional historic houses in Charleston, a new battlefield in New Bern, updated driving directions, new photos for each site, and more. Authors James and Suzanne Gindlesperger have visited Gettysburg an average of five times annually over the past twenty years. So You Think You Know Gettysburg? shows why they find it a place not only of horrible carnage and remarkable bravery but endless fascination. In Chasing Moonlight, Brett Friedlander and R. W. Reising prove that truth is more interesting than fiction. The real-life Moonlight Graham didn’t play just a half-inning for John McGraw’s New York Giants, as depicted in Field of Dreams. Neither did he retire from baseball after his lone major league appearance. Rather, he became a fan favorite during a noteworthy professional career, all the while juggling baseball with medical residencies. Graham’s life apart from baseball was just as eventful. He was a physician who sat with patients through epidemics and wrote a blood pressure study that was required reading at medical schools worldwide. But he was also a failed inventor and small-town character who built perpetual-motion machines and filled his home with tennis balls and empty oatmeal boxes. W.P. Kinsella rescued Moonlight Graham from the scrap heap. Field of Dreams made him famous. Now, Chasing Moonlight establishes him as a man. The good doctor would be pleased. Winning games, building character, and crossing over the divide between black and white are the dominant themes of coach Clarence Gaines’s autobiography, They Call Me Big House, written with Clint Johnson. College teammates and coaches started calling the 6’5” Gaines Big House because, as one of them said, “the only thing I’ve seen as big as you is a house.” His admirers still call him Big House because few can measure up to his influence. Though Gaines displays an impressive memory of individual games and almost every player who suited up for him, relatively little of They Call Me Big House takes place on the court. Gaines’s autobiography is as much a look at a crucial period in history as it is a study of X’s and O’s. Davis has remarked that he “didn’t learn stories, I just absorbed them” from a family of traditional storytellers that has lived on the same western North Carolina land since 1781. Among this collection of 18 chronologically arranged stories, Davis explains why 28 second-graders petitioned the school board to reestablish paddling as their preferred form of punishment, instead of the new policy of “suspension.” He also spins family tales about how his mother was finally convinced to give his brother Joe’s naturally curly, “wasted-on-a-boy” hair its first cut; how he and his cousin Andy got fired from their job of “watching the baby”; how his brother convinced their mother to adopt her first cats; and how he got a chemistry set designated for children over 10 when he was only eight. Through his tender, often humorous stories about his life experiences, Davis captures the hearts and minds of readers while simultaneously evoking their own childhood memories. One reviewer described Davis’s storytelling style this way: “He invites each listener to come along, to pull deep inside for one’s own stories, to personally share and co-create the common experiences that celebrate the creative spirit.” Even if you can’t enjoy Davis’s storytelling live, his written voice is so strong that you will actually hear these tales as you read them. We at Blair were saddened at the passing of NewSouth author Kathryn Tucker Windham, who died at her home yesterday. Mrs. Windham was not only a favored author and storyteller of such works as the “Jeffrey” ghost story series; she was also a groundbreaking journalist — one of Alabama’s first female reporters — and a frequent contributor to NPR. Her latest book was Spit, Scarey Ann, and Sweat Bees: One Thing Leads to Another, a memoir. We offer our sympathy to her family and friends. 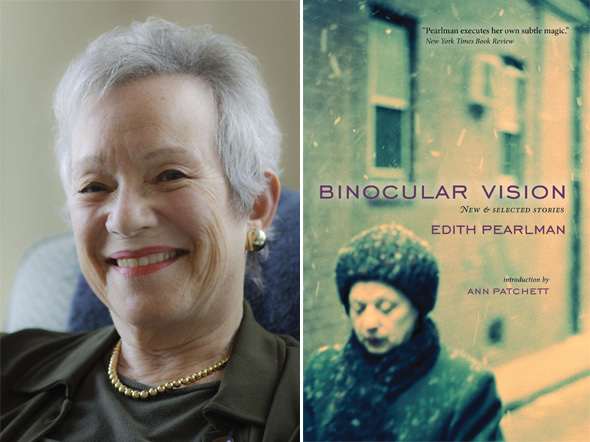 Pearlman joins the ranks of previous winners Saul Bellow, John Updike, and Eudora Welty. The PEN/Faulkner Foundation announced the honor yesterday. “Bernard Malamud expressed the hope that ‘expert practitioners of the short story, especially those who come rarely if ever to the novel, will be recognized’ so that their work might be ‘brought emphatically to public attention.’ With this prize, we hope to bring exactly such long-deserved attention emphatically to Ms. Pearlman’s beautifully crafted and deeply moving short fiction,” said Deborah Tannen, chair of the Malamud Award Selection Committee. 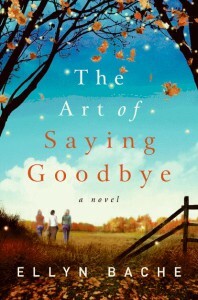 Congrats to Ellyn Bache, whose new book, The Art of Saying Goodbye, has just been named a SIBA Okra Pick! In the book, the ailing woman has always been the neighborhood star, a beauty whose charm draws all of them in. As her friends grapple with her illness, each of them begins to see the pressing issues in her own life with new perspective. A marriage put on hold because of a difficult child, a nurse’s eerie and unwanted gift of diagnosis, a widow’s destructive bitterness, and the price of a successful career, all come into play to shape their stories. Ultimately, each one learns to say goodbye … but not before drawing from her friend’s strength the courage to move on and change, as she recognizes that her own life, in the afterglow of someone else’s, is richer and more precious than she thought. Learn more at Ellyn’s website. Ellyn is the publisher for Banks Channel Books, which Blair used to distribute. We at Blair wish her oodles of success with this title! This Sunday, June 5, is World Environment Day (WED). If you weren’t aware such a thing existed (it’s been around since 1972), WED is an annual event that is aimed at being the biggest and most widely celebrated global day for positive environmental action. Basically, WED is a day for people from all walks of life to come together to ensure a cleaner, greener and brighter outlook for themselves and future generations. Even Nick Offerman–you might know him better as Ron Swanson from NBC’s Parks and Recreation–has teamed up with Budweiser to promote its “Grow One. Save a Million” campaign. “Grow One. Save a Million” encourages men to grow beards “as awesome as Offerman’s” and therefore conserve water. According to Budweiser, on average, a man uses 5 gallons of water every time he shaves. The company hopes enough men will take the pledge to put down the razor to save one million gallons of water. You can read the full (and hilarious) story at Entertainment Weekly and Budweiser’s Facebook page. It’s a great start, but if you’re more inclined to do something, like plant a tree or make some green changes to your lawn, we’ve got two books for you. While this book is a complete how-to resource for North Carolina gardeners, Leah and Toby devoted an entire chapter of their book to “enviro-tips.” These tips share ways novice and expert gardeners alike can implement practices to minimize their carbon footprint, ensure sustainability, and take care of precious natural resources. Topics range from best management practices and water quality to irrigation and weed control. How can I reduce the amount of water I use in the garden? How do I create a green roof? What should i ask myself before using a pesticide? Which plants help reduce disease and insects? You’ll discover the answers to these questions and more in The Successful Gardener Guide. The book even tells you how to recycle newspapers by using them as mulch in your garden. And the best part? A percentage of the proceeds from book sales are going to the Tree Endowment Fund of Extension Foundation, a charity that Toby founded to help return canopy trees to our neighborhoods. It doesn’t get any better than that, does it? Learn more at Toby’s blog and Leah’s Produce Lady site. Rain Gardening in the South (which won the Silver award of Achievement from the Garden Writers Association, the Silver Benjamin Franklin Award in the Gardening/Agriculture category from the Independent Book Publishers Association, and an Honorable Mention in the Home & Garden category for the Eric Hoffer Award) is a colorful, readable how-to guide on creating beautiful gardens that capture and use water that runs off roofs, driveways, and other hard surfaces in our landscape. Runoff from our yards, roofs, and driveways contributes more than a third of the pollution that ends up in our nation’s waterways. Rain gardens, which function as miniature water reservoirs and filtration systems, offer effective and visually pleasing solutions that dramatically reduce toxic runoff, resulting in cleaner rivers, lakes, and oceans. This book addresses the specific environmental circumstances of southern gardens, including climate issues, plant selection, and soil types. The book offers readers step-by-step instruction on constructing such gardens, from the design stage to post-planting maintenance. It also includes extensive design tips, plant lists, and soil amendment instructions, as well as a chapter on troubleshooting. Rain Gardening in the South and The Successful Gardener Guide are available wherever books are sold. They’re a great way to spend World Environment Day (although I’m sure growing a beard couldn’t hurt too).